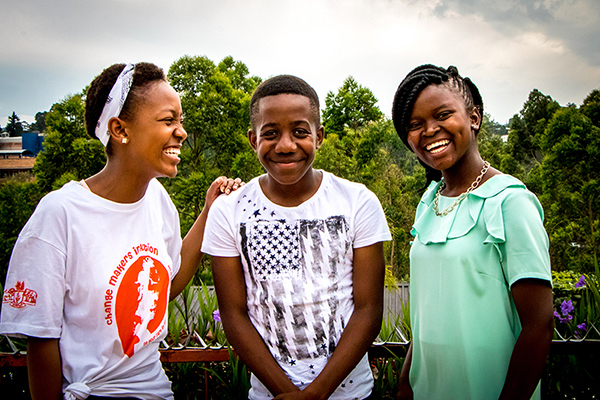 For more than a decade, Pact has been working to help turn the tide against HIV and AIDS in Eswatini (formerly Swaziland), where the epidemic has taken an especially heavy toll. Steadily, this tiny African kingdom is making progress. Pact’s efforts in Eswatini are among interventions that have contributed to a dramatic reduction in new HIV infections here. Since 2005, Pact’s capacity development experts have been working to strengthen local nonprofits and government agencies working to help people affected by HIV and AIDS and stop the disease’s spread. By improving these organizations’ governance, administration, financial management, resource development, program implementation, and monitoring and evaluation processes, Pact has helped ensure a robust indigenous response to the epidemic. Today, Pact is supporting the government in accelerating Eswatini’s progress toward the 95-95-95 targets and sustainable HIV epidemic control by preventing new infections and reducing the vulnerability of two key groups, orphans and vulnerable children and adolescent girls and young women. Pact is also proud to be part of a coalition of organizations implementing the LINKAGES project in Eswatini and beyond. LINKAGES is PEPFAR and USAID’s first global HIV/AIDS project dedicated to key populations and their sexual partners. The project is accelerating the ability of partner governments, civil society organizations and private-sector providers to plan and deliver HIV prevention services, as well as services to improve enrollment and retention care for those who are HIV-positive. After years of work, new HIV infections are falling in Eswatini, and attitudes about HIV testing, treatment and prevention are changing.